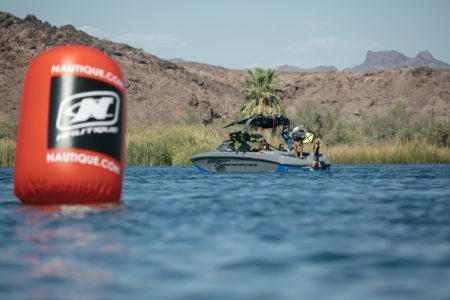 Parker, Arizona (September, 18, 2018)– Exploring the pristine waters and surrounding beauty of Arizona, the 2018 Nautique Southwest Regatta was an unforgettable weekend hosted by Nautique Boat Company and the World Wake Association (The WWA). 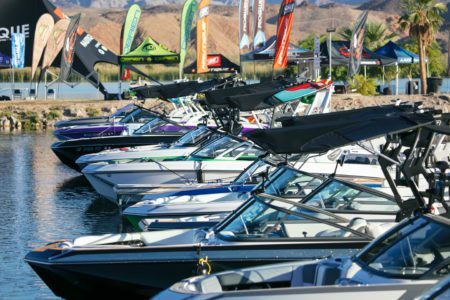 Nautique boat owners and the wake community converged at the BlueWater Resort and Casino on Friday, September 14th to mingle with old friends, meet new owners, and flood the Parker Strip with the industry’s leading boats. The 4x Wakesurf and 5x Wakeboard Boat of the Year, the Super Air Nautique G23, pulled event attendees into a full day of family-friendly activities including private demos with Nautique Team athletes, educational sessions, and an all-discipline GromFest for the kids on Saturday. With event attendees still reeling off the positive energy felt at the Super Hero themed dinner and awards banquet, Sunday served as the perfect sendoff with more personalized time and memories made with Nautique Pro athletes. The Rockstar Energy golf tournament served as a great way to rev things up for the weekend. Golfers were able to soak up the surrounding topography of Parker, Arizona as they made their way through the immaculate course of Emerald Canyon on Friday morning. 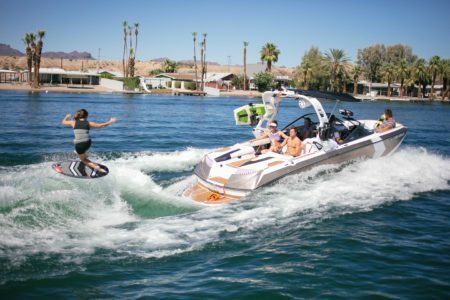 Upon making their way to check-in at the BlueWater Resort and Casino, families didn’t waste any time hitting the water for their first private demos with Nautique Team athletes like Shawn Watson, Shaun Murray, Tommy Czeschin and Jodi Grassman. Setting the pace for another beautiful day, Arizona debuted its breath-taking sunset, reflecting off the clear waters of Lake Parker as Nautique President Greg Meloon welcomed the group during the evening Grill-n-Chill. Saturday, September 15th provided owners and families with an incredible time shredding behind the legendary Super Air Nautique G23 on the newest Hyperlite and O’Brien products. Families and new riders were hooked, receiving first-class instruction from Nautique Team athletes along with some local shredders who dialed in new tricks. Children up to age thirteen took to the waters of Wakeboard Island for GromFest, a fun contest of all disciplines and skill levels. 2018 Nautique WWA Wakeboard Jr. Boys Beginner World Champion, Hudson Haynie threw down at the GromFest earning the Little Legend Award, alongside his brother Parks Haynie whose composure and high fives earned him the Boat Buddy Award. Clearing every wake with her stylish riding, Presley Boudreau took the Best New Trick Award of the weekend, followed by Jackson Holmes who scorpioned his way to the Best Crash Award. 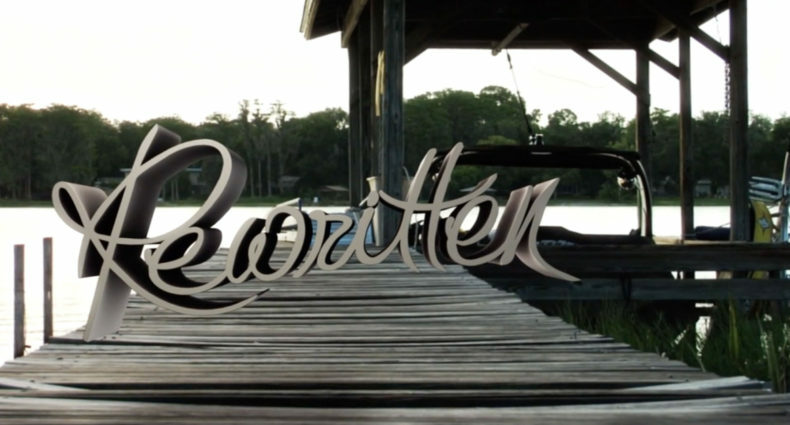 The New Shredder Award went to four-year-old Jamison Holmes, who wakesurfed like a pro behind the award-winning Super Air Nautique G23 after his private sessions with the Nautique Pro athletes. 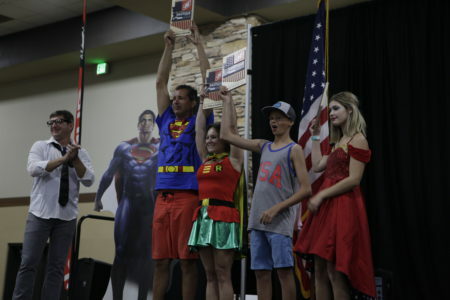 The on-water action wasn’t the only thing that had the crowds cheering this weekend, the owners and families showcased some of the most exceptional Super Hero outfits for Saturday’s dinner and awards banquet. The red carpet arrivals saw various Super Heroes from multiple Batmans to the dapper Clark Kent’s of the world, numerous awards were won including the Udall family’s epic depiction of the Incredibles clan, claiming the Best Group Costume Award. The ladies had it going on in the costume department with Best Girl Costume going to Reina Barnes and Tami Cummard taking Best Female Costume. Owners were also awarded based on their world-renowned Nautiques they debuted on the Parker Strip, including Shane Hale taking home the inaugural Oldest Nautique Award with his gorgeous 1977 Ski Nautique. Christina Shaw traveled over 450 miles from Fresno County, California with her Nautique in tow winning the award of Longest Journey traveled by a Nautique owner. The Disney family took home the Best Rig Award with their 2018 Super Air Nautique G23 and GMC Denali combination. “We had an amazing weekend for our first time on the Parker Strip and are excited about all the new faces, Nautique boat owners, and families we were able to share the weekend with. We saw an incredible sampling of the wake, wakesurf and water ski community, paired with Nautique team athletes, and lots of smiles that lasted all weekend long. 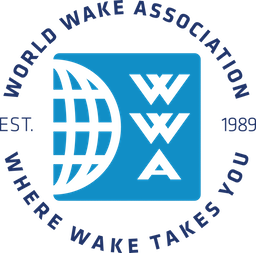 It’s events like the Nautique Southwest Regatta that remind us of why we do what we do in an industry unlike any other,” said WWA Executive Director Corrie Wilson. 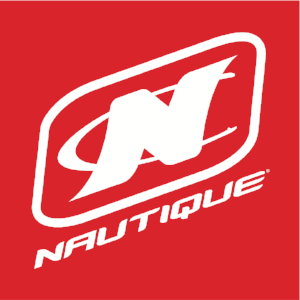 The Nautique Southwest Regatta represented what watersports are all about with over 200 attendees making the BlueWater Resort and Casino a gathering to meet new friends and shake familiar hands alongside the top brands in watersports. The waters of the Parker Strip played the perfect host to all the action, creating an amazing atmosphere paired with perfect conditions all weekend long.